If you keep track of this sort of thing, you'll notice that this is your second E-Guide this week. That's because next week I won't be producing an E-guide. Instead I'll be on the high seas with the good folks from The Legendary Rhythm & Blues Cruise (www.bluescruise.com) having what promises to be the time of my life. We'll be back in two weeks with blues news and festival info, plus stories and pictures from the cruise. We especially like to hear about special blues events and fund-raisers that are open to the general public.� We can't guarantee to broadcast every press release from every society, but we will do our best. 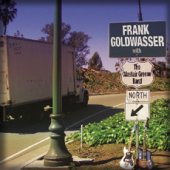 Now residing in Portland Oregon, Frank Goldwasser's Blues path started in Paris France where he was born. 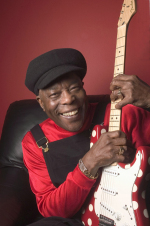 It then took him to Oakland to play with blues legends on stages throughout the Bay area. His journey also included a short stay in Southern California where this album was recorded. Frank's amazing sense of song interpretation mixed with The Alastair Greene Band's ability to play a multitude of Blues styles makes for what is sure to be one of the most interesting Blues albums to be released in many years. 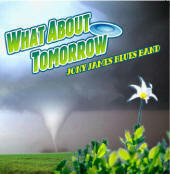 This recording will please traditionalists as well as people looking for new twists and turns in Blues and early R&B. You will not want to miss the dueling guitar insanity that ensues, nor the priceless song selection of classics and obscurities that will keep this CD in your player for a long time to come. Keep reading for your chance to win. (From the McClathy Newspapers) Johnny Winter once roared with astonishingly fast guitar licks and piercingly loud banshee yells. But his voice was barely more than a whisper when he was interviewed by Wade Tatangelo over the phone from his home in rural Connecticut. The Texan's slow drawl came to life, though, when asked if he still enjoyed performing on stage. "I love it. I love playing," he said. "I had carpal tunnel and thought I wasn't gonna play ever. I thought I got beat. I was afraid I would never play again. "It was really horrible," the 62-year-old added. "I had an operation. My hand was numb for eight months." After going nearly all of 2005 without playing, Winter was finally given permission to pick up his beloved instrument. What was the first tune he performed post-recovery? "Highway," he said with a light laugh. That would be Bob Dylan's "Highway 61 Revisited," the song Winter reinvented as a blazing slide guitar number on his landmark 1969 album "Second Winter." It will be one of the few rock 'n' roll songs that Winter performs these days. His current tour finds him sticking to blues standards and acoustic originals like "Dallas." Johnny Winter's true love remained the blues. So much so, he put his�rock career on hold to help out Muddy Waters. Winter produced and played on four Muddy Waters albums starting with "Hard Again" in 1977. Three of them won Grammy Awards. 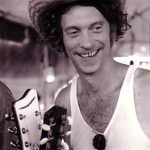 COMO, MISSISSIPPI�Jimbo Mathus, producer, songwriter and multi-instrumentalist has re-opened his popular Delta Recording Service in Como, Mississippi. The studio, previously located in Clarksdale, Mississippi, produced over 70 projects in just over a year, including Grammy and Handy award-winners and nominees Elvis Costello, Big George Brook, and Duwayne Burnside. �The facility brings together top-tier Mississippi and Memphis producers, engineers, writers and session men and women in a dynamic, energetic environment.� The result is a recording studio that enables artists to create fully realized recordings that are affordable and high-quality. The facility also houses a new exhibition, sponsored by the JMH Foundation, in the lobby area that features an archive of photographs, recordings and memorabilia honoring traditional musician families from Northern Mississippi: Hemphills, McDowells, Burnside, Kimbroughs, Stricklands, Pratchers, Youngs and Turners. The collection�includes face casts of local musical legend Jessie Mae Hemphill (after whom the JMH Foundation is named), Othar Turner, RL Burnside and T Model Ford. The Recording Academy� announced the newest additions to its GRAMMY Hall Of Fame�, adding 44 recordings to a timeless list that now includes 728 titles. The Hall Of Fame serves as a celebration and reminder of the triumphs and achievements of the recording arts. Every year, the Recording Academy honors "recordings of lasting qualitative or historical significance that are at least 25 years old." If anyone needs a room for Memphis - Feb 1-3 please email Linda Kibak at bigcityblues@lindentravel.com or call 1-800-765-8241. She has over a dozen rooms left at The Best Western - two blocks from Beale St. -around $80 per night. She will have to cancel them on January 16th. There may also a few rooms at the host hotel, The Doubletree now as well. Contact Pam Palko at 901.334.4600 or Moniqua Johnson at 901.334.4602 to get a room there. Those are about $109 plus taxes. The 2007 International Blues Challenge will see a record number of acts from a record number of places once again. The number of competing acts has more than doubled in the past five years, from 69 acts in 2003 to over 150 in 2007. We expect 157 acts from 34 states and eight countries, including first-time entries from Finland and India as well as Australia, Canada, France, Italy, Taiwan and the United States. Wristbands will be sold on Beale Street for the Semifinals on Thursday ($10) and Friday ($15). Tickets to the Band Finals on Saturday afternoon ($27) are available directly from the Orpheum Theater. Tickets for the Solo/Duo finals at the New Daisy Theater, if available, will be sold at the door that night. Tickets for reserved seats are $65 or $55, + service charge. General admission tickets are $35, + service charges. Ticket prices increase by $5 day of show. Tickets available at the Civic Auditorium Box Office, 831-420-5260 or via Ticketmaster at www.ticketmaster.com or at any Ticketmaster outlets. As many of you must have heard by now (since it has become international news), the downtown Chicago Blues Club, "Buddy Guy's Legends" will be moving to a new space in the near future.� Legends has asked The Blues Festival E-Guide to help squash any rumors that may be circulating.� Legends is NOT closed, is NOT closing, but�are simply moving their location. Columbia College acquired the building that the club occupies in 1999.� The agreement made 8� years ago was that Legends would need to find a new home.� It looks like�the move will be taking place sooner rather than later.� Columbia is being kind and flexible and insists that Legends will not be kicked out if�they are not ready to move into a new place by the end of�the lease.� That said, it is unclear exactly when�they will be out of 754 S. Wabash and in a new home. Buddy plans to stay in the downtown Chicago area, and he is personally reviewing all the available options. 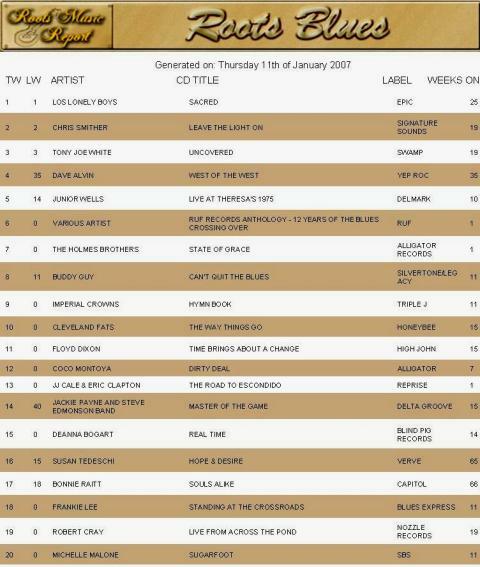 We asked several people, who are in the business of listening to all the new blues CDs, to tell us their personal favorites from 2006. First up, is the list from Hal Horowitz.� Hal contributes reviews to Blues Revue, Amazon.com, All Music Guide. American Songwriter and other publications. Hal's list in no particular order. Our next contributor is Blueshound. He's a producer & programer for KPFT 90.1 FM radio in Houston. KPFT was the 2006 recipient of a KBA for Public Radio. KPFT has championed the Blues since it first hit the airwaves in 1970, playing ten hours of uninterrupted Blues every Sunday, with additional Blues throughout the week. Frankie Lee/...Standing at the Crossroads/Blues Express Inc.
Mississippi is home to many festivals and other events that celebrate the state�s unique culture and history. The Mississippi Arts Commission (MAC) and the Mississippi Development Authority�s (MDA) Tourism Division have been active supporters of many of these events through grants and other services. Both agencies recognize the challenges faced by community groups that produce festivals. Therefore MAC and MDA have come together to produce their second annual workshop (offered in two different locations) that will provide training and networking opportunities for festival coordinators from around the state. Presenters include independent folklorist and production coordinator Aimee Schmidt, and The Blues Festival Guide's own Cheryl O'Grady-Yearnshaw. Cheryl will be presenting� an overview of the basics of festival promotion, plus provide a look at some of the newer strategies being utilized by events around the country. Cheryl is a long-time blues fan, promoter, and owner of COG Promotions, a privately held business of artist management and promotions. She is also a Marketing/Advertising Representative for the Blues Festival Guide. Cheryl is one of the founders of the Reno Blues Society and was instrumental in presenting over 35 blues shows featuring headliners including Buddy Guy, Charlie Musselwhite, Koko Taylor and many others. Hi there! I want to announce the formation of a new blues society here in Texas. We are the Texas Panhandle Blues Society and became Affiliates of the Blues Foundation at the end of December, 2006. I want to thank the folks at the Foundation and the members of the Houston Blues Society for all the help (and they helped a lot) in getting everything together. We are in Lubbock, Texas - home of the late great Buddy Holly as well as the home of Delbert McClinton. Our contact information is listed on the Affiliates page of the Blues Foundation. We are looking forward to getting out this year and attending some events put on by other societies in the region. Benefit for:������� Family Enhancement Program, Inc. GUEST: GEORGE THOROGOOD:previewing his new CD "The Hard Stuff"
�He's bad to the bone and he's b-b-b-back!� Yes, George Thorogood has a rockin' new record called "The Hard Stuff." It has everything you could want from George Thorogood and The Destroyers, plus a few things that might surprise you. Join Elwood Blues for new music and conversation with George Thorogood, this week on the House of Blues Radio Hour. Caribbean, Fort Lauderdale, Florida, U.S.